Turn heads and step out in style in the Gigi evening gown. 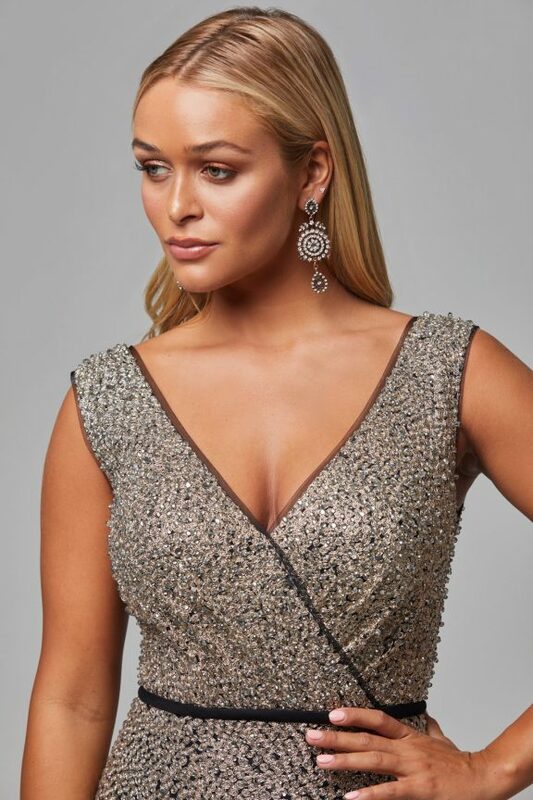 Full length metallic embroidered mesh finished by subtle cross over front and opulent beading. Mermaid shape silhouette with cross over front forms the flattering shape of the Gigi evening gown. Top to bottom embroidered mesh is drawn in at the middle by a defined waist band that compliments the bodice seams.